Nestled in mid to late January, Tu B'Shvat is the hardly heralded Jewish holiday in honor of trees, literally "the New Year for the Trees." And although it's a meaningful holiday, if the idea of a New Year's Eve for Trees strikes you as a little odd ... rest assured you're not alone. "Happy New Year, Maple Max!" "Happy New Year to you too, Spruce Sammy." "Yeah, New Year's Eve! Oh boy, oh boy! Umm, Max?" "It's New Year's Eve! Party time! Where are the party hats, the noisemakers, the hangin' with hot young saplings?! Where's that special kiss on the leaves come twelve midnight?!!" "We won't be doing any of that stuff." "No? What will we be doing tonight then, Max?" "Practicing photosynthesis. Growing bark. Maybe ... just maybe ... taking a few hits of CO2 later." "But ... but .... what about the parties?" "We're trees, Sammy. How would we get to any parties?" "Oh, right. Mobility's not our best thing." "Yep, I'd give up any dreams of becoming a travel writer if I were you." "But there must be some excitement for us on New Year's, Max." "Oh, there is: Tomorrow morning the humans stop by and give thanks to us." "FANTASTIC! The humans bring us gold, frankincense, and myrrh ... whatever myrrh is!" "The humans pat us on the trunk a coupla times and bolt." "That's it? Well, then there can't be all that much they have to thank us for!" "Only most of their basic food supply. And the nourishment of animals which supply all the rest. Shade. Wood for their tools, dwellings, and other amenities of life. And a little thing called oxygen." "Gee, you'd think all that would at least be worth an I-pad." "Better get some sleep, kid." "Well, next year in Jerusalem, Max!" "We live in Philadelphia. Can't really change that." "No question about it; Tu B'Shvat is a great holiday. But if this is supposed to be our New Year's Eve, OY, spare me from dateless Saturdays in February!" 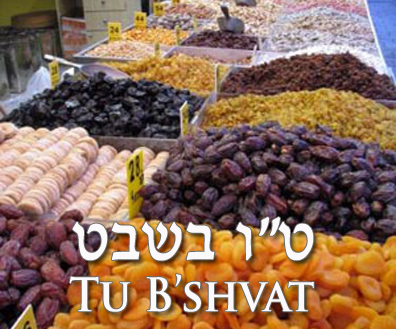 Note: This year, Tu B'Shvat is January 26, 2013. Make sure and hug a tree. For whatever reason, I'm having the most difficult time commenting on your stories. It doesn't like me in Google or Wordpress, but I'll try one more time. The drought here is in its 10th month. The last time I took a wiss outdoors, a tree grabbed me with its limbs, clutched me to its trunk, and wouldn't let go until it had squeezed out 12 ounces (good thing I'd had a beer first). I'll mark January 26th on my calendar and be sure to have a full bladder before offering my hug. If ever you come up here to hug me, I'll hope you'll decline to do the same! Hey friend, This was a great post for such a tough subject to speak about. travel and nursery furniture to choose an appropriate gift for your baby. Finding the very best, proper and fairly as well as measurement prom dress may possibly appear like a daunting job. with a customer who doesn't want to be controlled by someone.